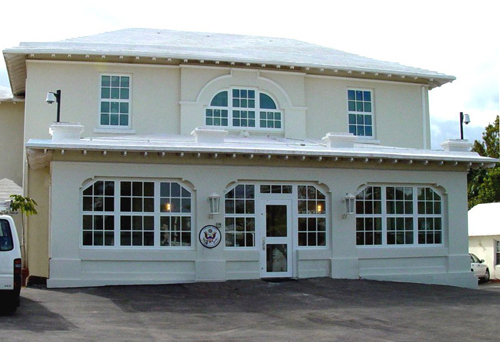 The U.S. Consulate Compound is located on a one-hectare residential site on a narrow winding road overlooking the port town of Hamilton. In this informal, resort environment, the Consulate is highly susceptible to a terrorist attack; therefore increasing the need for improved physical security. This project included comprehensive perimeter wall and fence upgrades, a new pedestrian/vehicular compound access control (CAC) facility, office building perimeter security upgrades, consular services upgrades, technical security systems installation, site and parking lot redesign. The office building received numerous FE/BR doors and windows. 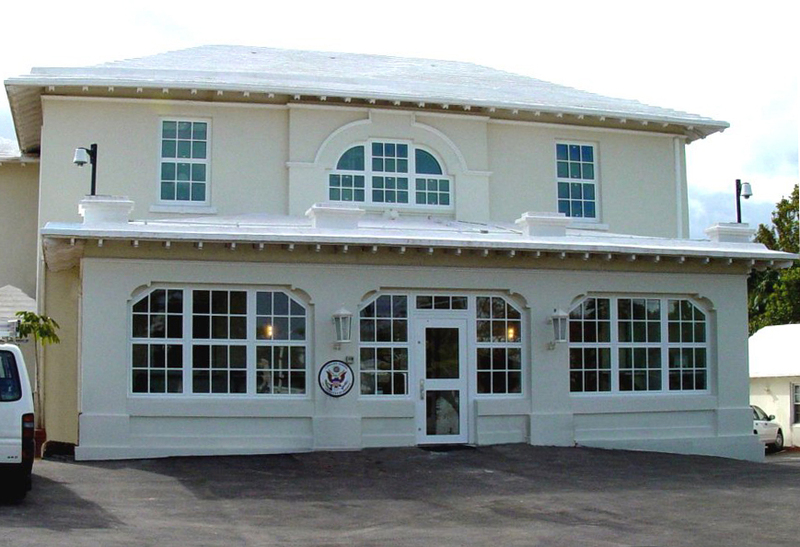 The CAC building and front perimeter wall was designed in Bermuda/British Colonial style to enhance the appearance of the consulate compound and to emphasize the sense of entrance. The CAC building features a stepping hipped Bermuda roof and is faced with Bermuda stone and stucco plaster in order to relate to the island architecture and utilize the locally available materials. The project included widening the roadway in front of the compound to increase safety for visitors of the consular services. The design was reviewed and approved by the Bermuda Fine Arts Review Committee.